After previously releasing a few albums with various record labels, including the smash hit self-titled album in 2010 and The Church of Rock and Roll in 2012, the Ohio native sextet has decided to release the new album, GONZO, independently via Bandcamp and offer fans the first dip of the record for free. (Click here or the below player to give a listen of the album or download it for free.) After opening for the Darkness and Slash in the last few years, Foxy Shazam has established a fan base across the continent and I am very happy to see a band of their scale transform into more independent act as it benefits both the band and listeners. 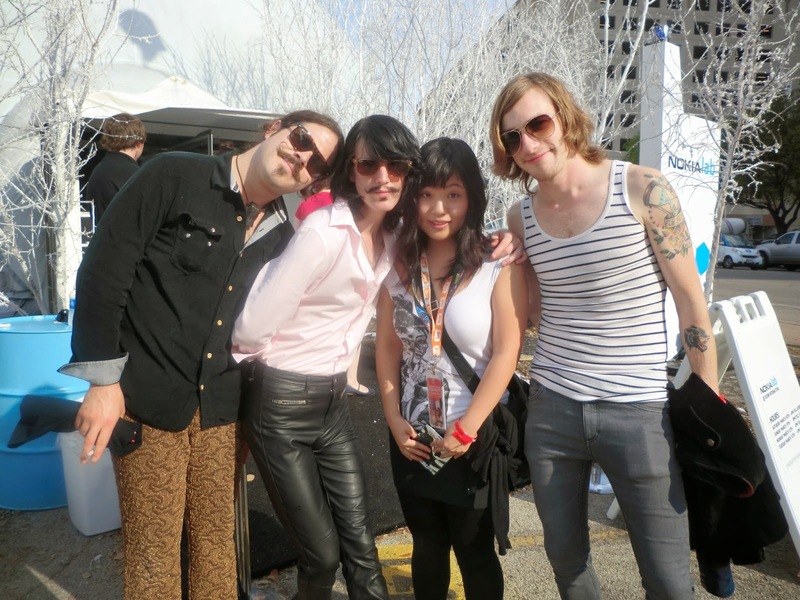 This is me and Foxy Shazam from SXSW in 2011! They also released tickets for their shows with an affordable service fee through their official website. There is an option for fans to purchase a VIP ticket with a meet-and-greet session with the band and a custom silkscreened poster. The Toronto show date is June 24that Lee's Palace. It is the very first headlining show in town for a long time. ( like years!!!) Grab your tickets while it is available!